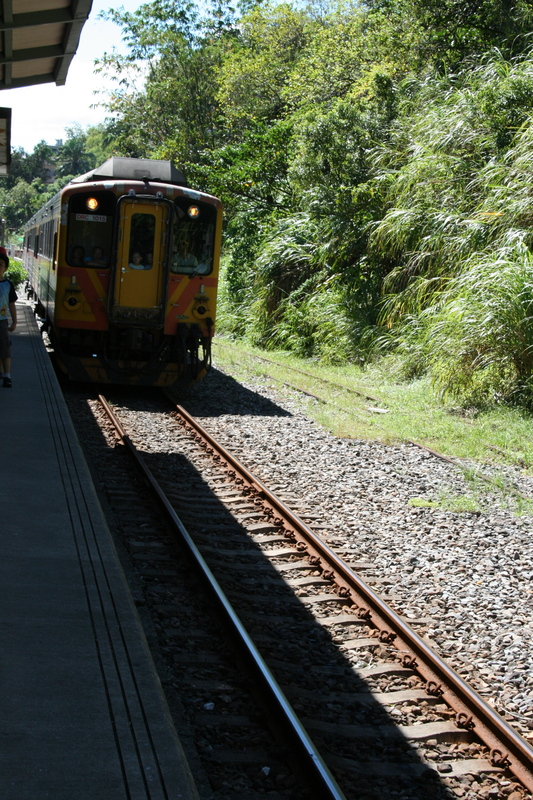 On my fifth day in Taiwan I woke up early and headed to the train station. My destination was Ruifang, where I was to meet up with the Pingxi Branch Rail Line, a 12-kilometre segment of rail that has been kept open for tourism. It was a public holiday in Taiwan so I was a bit concerned about how busy things might be; however, I was pleasantly surprised. My first stop on the line was the tiny town of Pingxi. 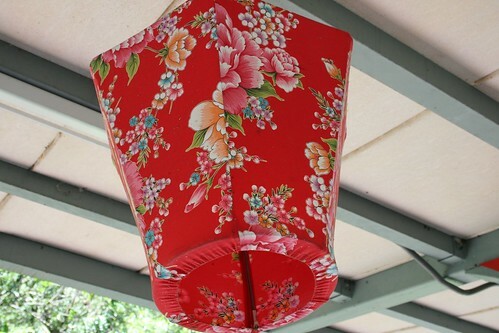 Pingxi put itself on the map with its famous Lantern Festival and the train station is appropriately decorated with beautiful lanterns, even outside of festival season. 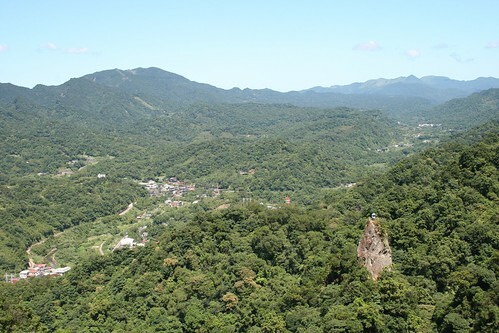 In the off-season, the reason to go to Pingxi is hiking. About five minutes from the train station there is a trail with a series of crags to climb. 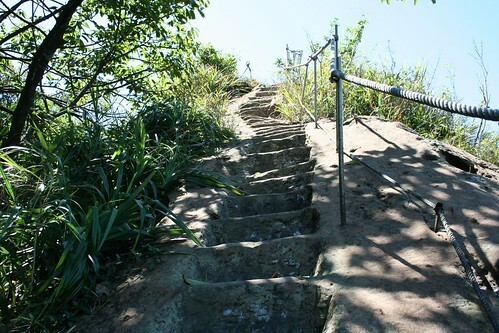 Fortunately, the crags require zero technical skill because they have stairways carved into the rock. Have I mentioned how hot it was? Well, I was dripping sweat even before I started the hike. Still, I chose a crag and climbed up. I won’t lie: it was a bit intimidating to climb. Unlike a normal mountain trail, where you can look around, the only thing I could see was a staircase leading straight up. Still, it was worth it to get the view from the top. If you squint then you can see the lady who climbed the other crag with an umbrella. By the time I had climbed to the top of the first crag it was about midday. I was running low on water and I was dripping sweat so I decided to leave Pingxi and head to my second destination of the day. You should know that the centrepiece of the Pingxi railway is the Shifen waterfall. It is 40 meters wide and is said to be quite spectacular. 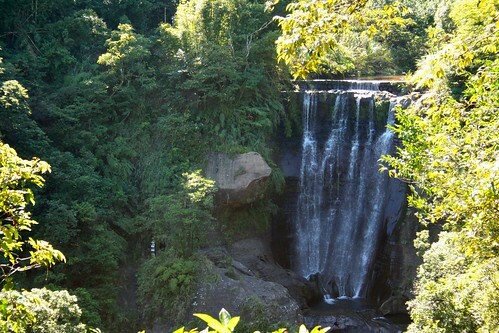 However, it is also the biggest tourist draw and you have to pay to get into the park to see the waterfall. I decided to pass on Shifen and instead I got off the train at the deserted Sandiaoling station. 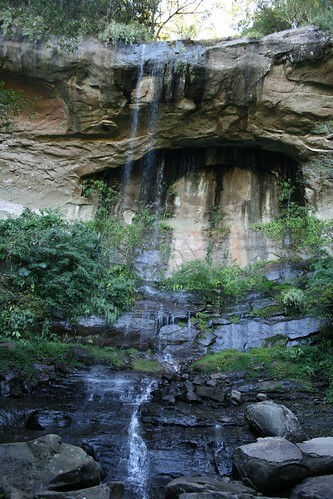 After about five minutes of walking along the train tracks I reached the trailhead for the Sandiaoling Waterfall Trail. The trail was not part of a park, so it was free, and I only saw a handful of people. 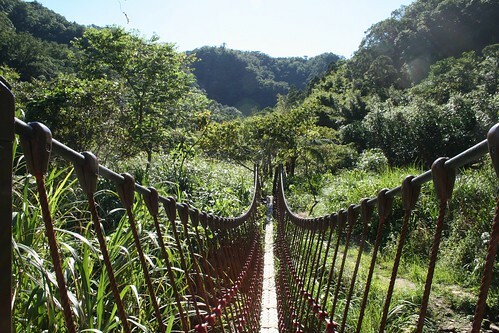 (Although, keeping in the spirit of hiking, they were the nicest people I met in all of Taiwan — which says a lot.) 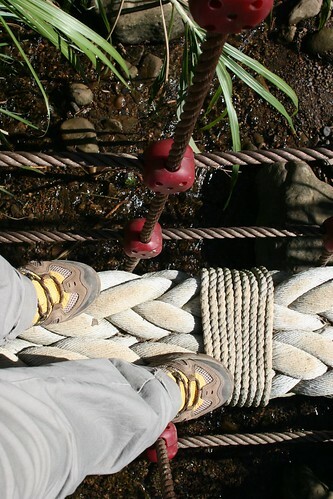 The main part of the trail takes a few hours to hike and takes you past three waterfalls. The first one is pretty magnificent, but you can’t get very close to it. Again, the trail got even more difficult. 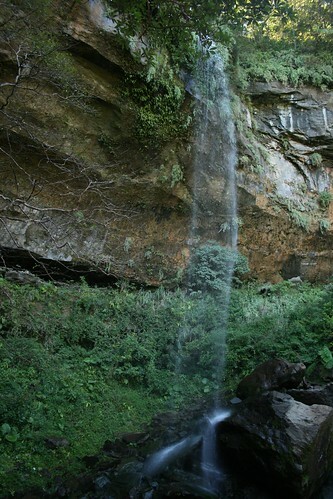 There was a ladder carved into the side of a cliff at one point and some serious clambering to get up to the last waterfall. It was absolutely worth the effort. The pictures don’t quite do it justice, but I felt like I had stumbled onto a waterfall movie set. 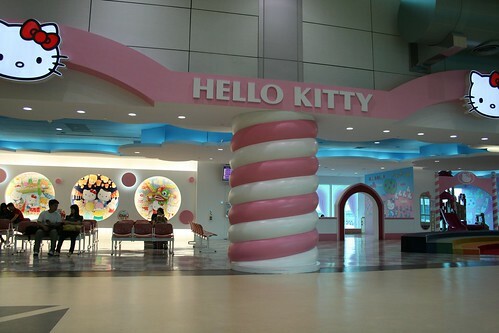 Hello Kitty waiting lounge in the Taipei International Airport. Suddenly, I felt at peace with leaving. So thank you, Taiwan, for giving me so many reasons to love you, and one very good reason to leave. Love reading about your trip! Sounds like you made the most of it even when things didn’t work out. That Hello Kitty thing is insane!